Scientists and engineers attempting to build a scalable and efficient quantum computer normally go about it in one of the two ways — by trapping ions in magnetic fields, or by using superconducting circuits. 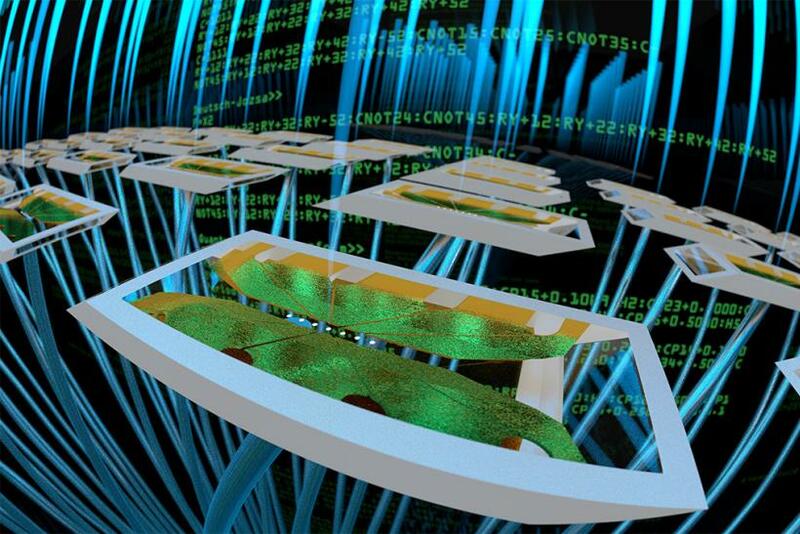 In either case, the systems created utilize "qubits," which are quantum computing equivalent of electronic computing bits bits, existing in a state of superposition. The question that is often asked is this — which architecture, trapped ions or a superconducting device, leads to the creation of faster and more reliable quantum computers? A team of researchers has, in a new study, attempted to answer the question. "If you want to buy a quantum computer, you’ll need to know which one is best for your application. You’ll need to test them in some way, and this is the first of this kind of comparison," Norbert Linke, a postdoctoral researcher at the University of Maryland's Joint Quantum Institute (JQI), said in a statement released Thursday. The researchers pitted two quantum computers fashioned from two different technologies — a fully connected trapped ion system created at JQI and a device developed by IBM researchers that uses coupled regions of superconducting material. Both machines use five qubits and both machines have similar error rates. For the purpose of their experiments, whose findings were published in the latest edition of the Proceedings of the National Academy of Sciences, the researchers ran several quantum programs on the devices, each of which solved a simple problem using a series of logic gates. The conclusion? The trapped-ion module was more accurate for programs that involved many pairs of qubits, but the IBM device had quicker logic gates. Moreover, the superconducting platform's artificial qubits were all found to be slightly different from each other — something that introduced errors if the calculation required shuffling information between qubits — and had shorter lifetimes than their trapped ion counterparts. "Whereas the superconducting system offers faster gate clock speeds and a solid-state platform, the ion-trap system features superior qubits and reconfigurable connections. The performance of these systems is seen to reflect the topology of connections in the base hardware, supporting the idea that quantum computer applications and hardware should be codesigned," the researchers concluded. The experiments were, by necessity, restricted to only extremely rudimentary forms of the two most promising approaches, and the results still can't be applied to practical quantum computers that would contain thousands of qubits. However, the researchers believe that such "head-to-head" comparisons can, even in the future, serve as important benchmarks to assess the performance of quantum computers.